This rhodochrosite is from the Capillitas Mine, Andalaga Department, Catamarca, Argentina.This locale has been mined off and on since 1873. 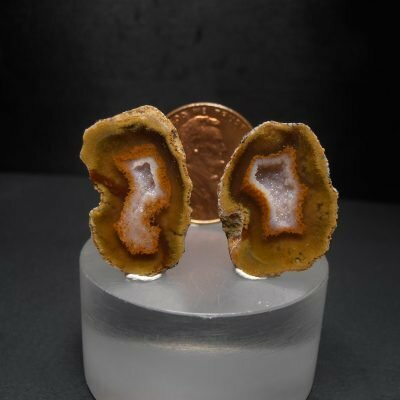 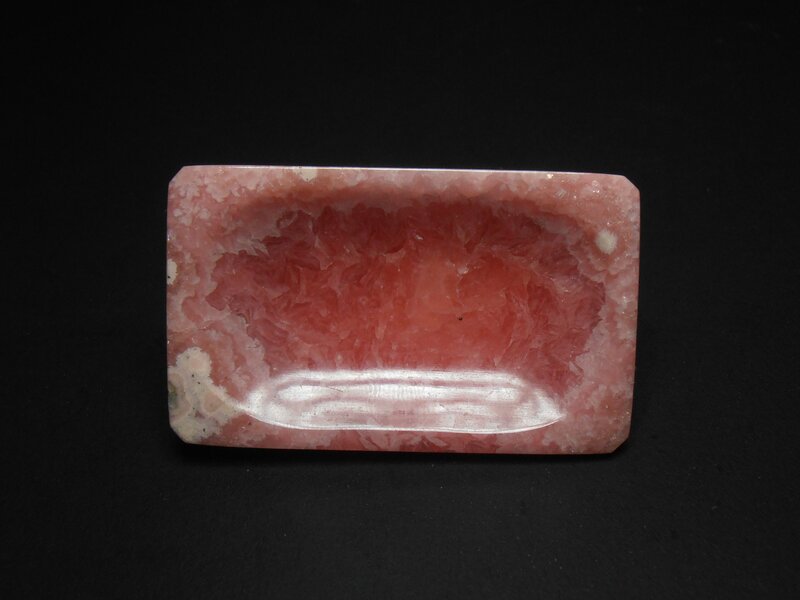 It contains 118 mineral species and is most famouns for the rhodochrosire stalactite and banded deposits from there. 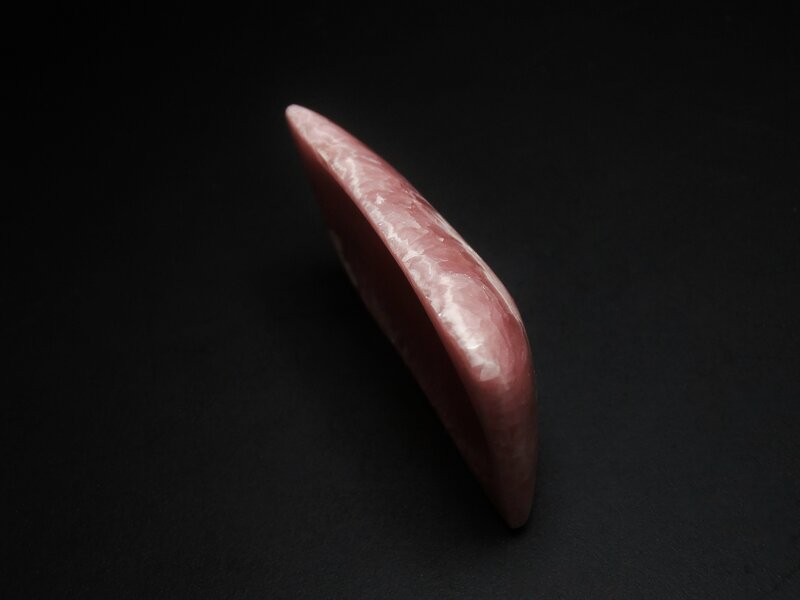 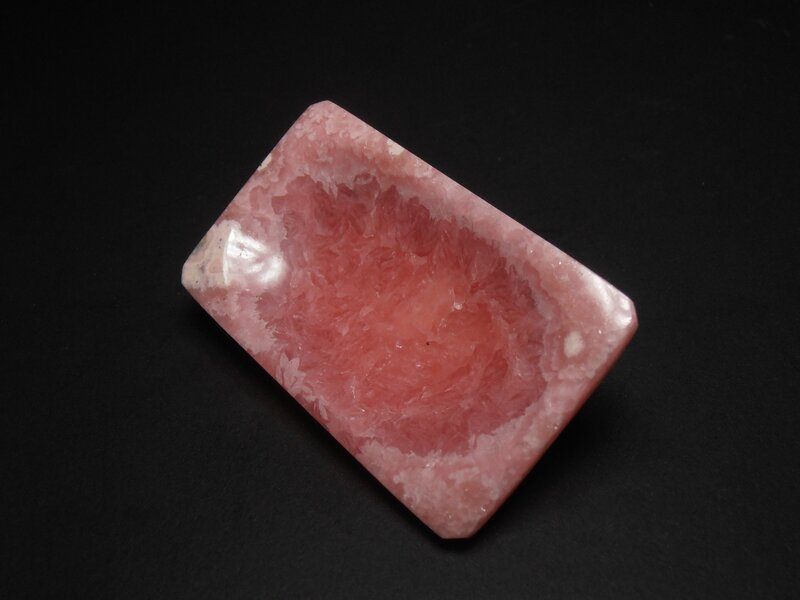 Rhodochrosite is a carbonate mineral that contains the elements Fe, Ca, Mg, Zn, Co, and Cd. 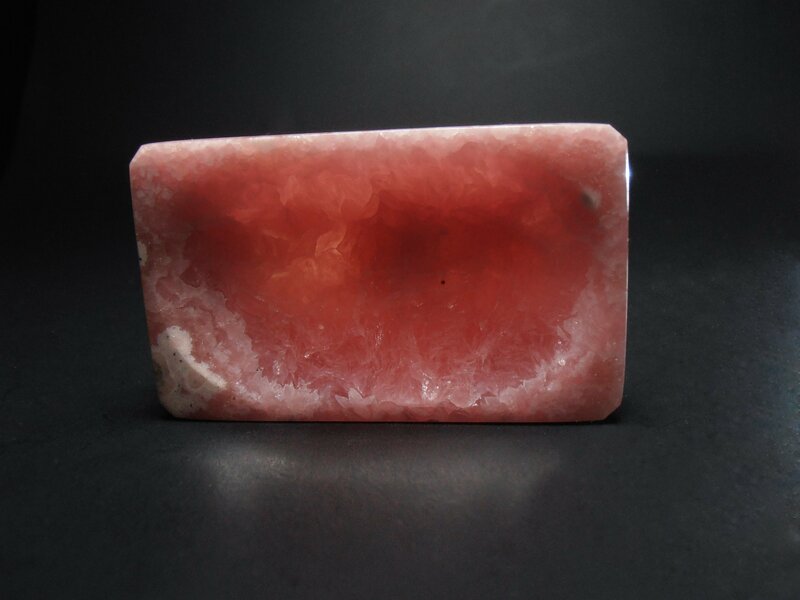 It ranges inn color from white to pink to red. 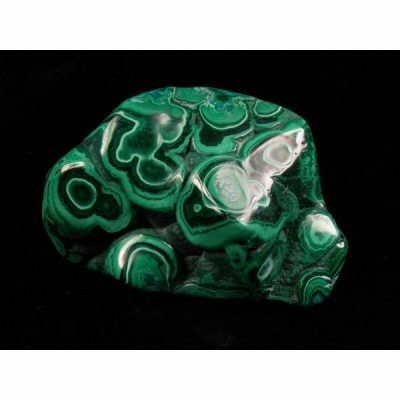 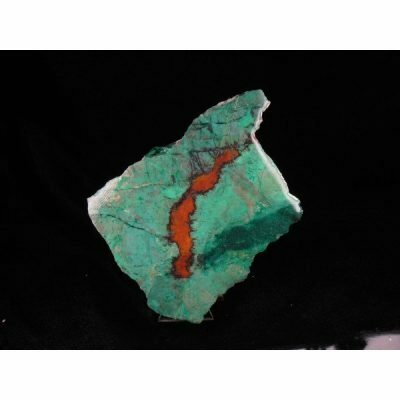 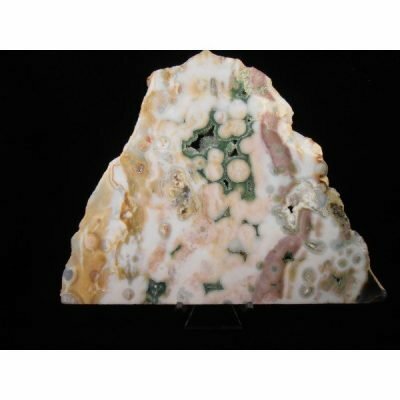 The material from this mine is used for a variety of applications including jewelry, carvings, and mineral specimens This piece has been cut and shaped into a small dish or tray. 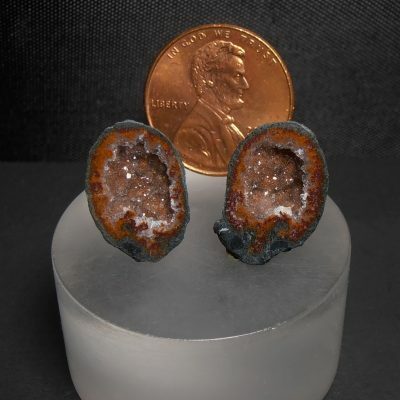 It is a large miniature that measures 2 1/4 x 1 3/8 x 3/8 inches or 57 x 35 x 9 mm.